Jusuru is a new bio-cell Collagen beverage. BioCell Collagen® is a naturally occurring matrix of hydrolyzed collagen type II, chondroitin sulfate, and hyaluronic acid that supports joint and skin health. With a multi-patented process, BioCell Collagen® was developed as an optimal molecular weight ingredient that is easily absorbed by the body. Highland Springs Wellness Center is constantly responding to patients’ requests for products to make them look younger, feel better and optimize their health. 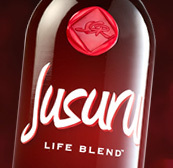 Jusuru Life Blend’s powerful formulation includes a first-ever combination of BioCell Collagen, resveratrol, and antioxidants derived from thirteen different super fruits. Special United Parcel Service shipping fees apply, based on quantity and location. For sale in the continental United States only. 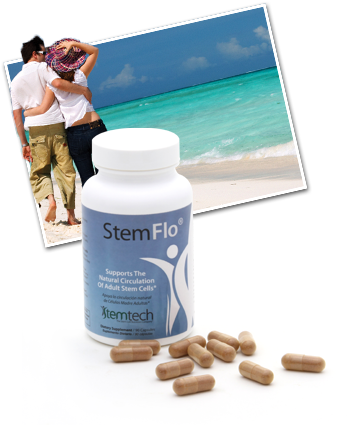 StemFlo is a dietary supplement/vitamin in capsule form manufactured by Stem Tech. StemFlo is a cutting-edge blend of antioxidants and enzymes that support optimal blood circulation, StemFlo was specifically designed to support the “flow” of adult stem cells and nutrients throughout the body – assisting your body’s stem cell nutrition needs; the supplement also helps the body in reducing oxidative stress and in purifying the blood of toxins. Breaks Down Excess Fibrin: StemFlo contains proteolytic enzymes that help digest fibrin. Reducing excess fibrin buildup ensures optimal blood flow in smaller blood vessels and capillaries. Oxidative Stress Reduction - Detoxification - StemFlo contains ingredients which have been shown to assist in the elimination of toxins from the body. SE2 is a new dietary supplement with nutritional qualities that hold new promise for absorption and proper balance. Stemtech was first to discover the way to support the body’s natural renewal system by supporting the release of more adult stem cells into the bloodstream. Their Advanced Formula now brings a new discovery to the forefront with a longer-lasting formulation that that helps the body maintain and repair tissue and organs. 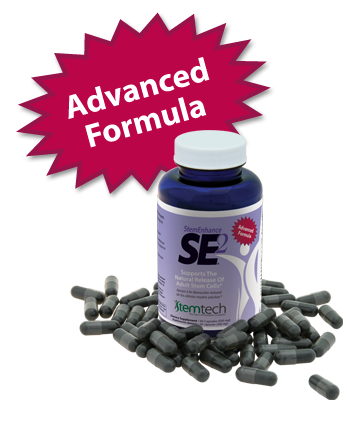 SE2 is not a traditional supplement that works to supply nourishment to old cells. Instead, SE2 supports the natural release of “master” cells that can transform themselves into healthy new cells. Undaria pinnatifida is a marine alga from pristine ocean environments around the world well known to support the immune system. Fucoidan from Undaria Pinnatifida has been documented to support a long-lasting increase in the number of circulating stem cells. Polygonum multiflorum is an herb with a long history of us to support health and rejuvenation. An extract of Polygonum multiflorum was recently documented to support the release of stem cells from the bone marrow. Tests show SE2 supports the release of millions MORE adult stem cells…for a longer period of time.